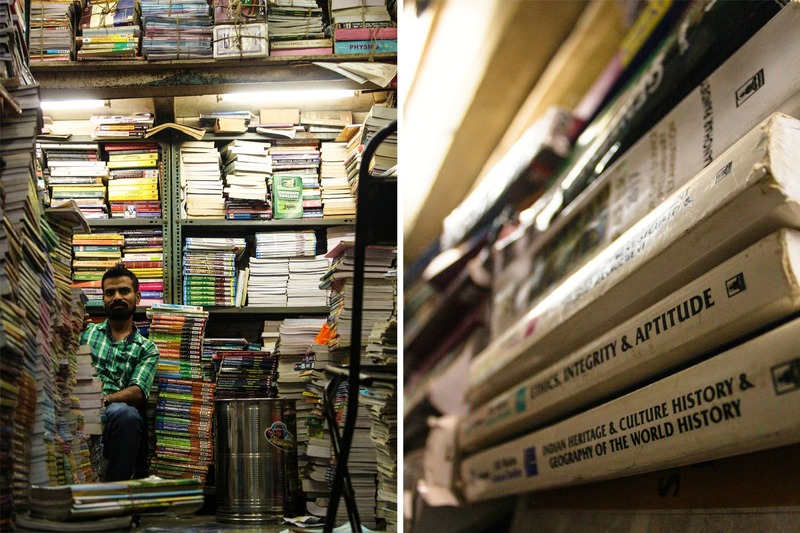 The shopping goldmine of the city, Dadar has a lane that will help you buy everything academic. Located right opposite Azad Ice Cream on Ranade Road, Deobai Lane is a treasure trove for students. With new session starting in colleges and schools, it’s imperative to know where you can get good deals on books and text. Whether it’s MPSC, UPSC, NCERT, Engineering, Medical or Law – you name the course, chances are, they have it. The lane consists of about six to seven shops that have been in the business for years. We managed to get the visiting cards for two, for the wind wasn’t exactly friendly on a busy, hot summer day. There’s Galaxy Book Shop where Sachin and Manoj will be happy to take you through their collection and then there’s Sandhya Book Stall, where Rajendra and Shyam will run you through their prowess. Whatever shop you choose, be assured that your book match is waiting there for you. Ever wandered streets of Mumbai looking for a book? It’s not the best feeling. So skip that and head to Deobai Lane.